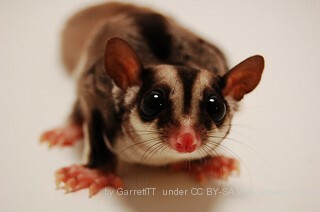 We often asked where to find sugar gliders for sale online. If you are interested in owning this pet, these are the possible sources of sugar gliders – local licensed breeder, the neighborhood pet store, and online websites. Before visiting your local licensed breeder or your neighborhood animals store and logging in on an online website to ask about this nocturnal pets, find out first if owning of these animals is legal in your state, city or neighborhood. Visit the local fish and wildlife office or the governing body in charge of regulating animals in your community. They are wild nocturnal animals that are imported from countries such as Australia, Indonesia and the Island of Guinea because they are not native animals of the US. Some states consider it illegal to own this playful pets because they may threaten to exist and native species of wildlife in the country. If you have checked with your local Fish and Wildlife office and they gave you the green light to purchase the marsupials as a pet, then the best source to visit would be your local federally licensed USDA breeder. Whether you purchase your miniature sugar gliders from a breeder, a pet shop or online, the first thing to ask for is if they have a federal USDA license. The federal government has very high standards of health and safety for the breeding of these nocturnal animals. Breeders need to qualify and pass to get a Federal License. For legal purposes and safety of the health of your family and the animals, only purchase this pets from shops that can show you a copy of their federal USDA license. If there are no local breeders in your area and the neighborhood pet store does not have sugar gliders for sale, your only alternative would be to purchase them online. This is not exactly the best way to purchase these animals since it is necessary to be able to talk to the breeder face to face and be able to handle these social and playful animals first before making the purchase. To be able to see the little creatures and interact with them would be a way to gauge if they are healthy and worth the purchase. The thing with online purchases is there being so few dependable websites that offer sugar gliders for sale. Most of them are just scams. They will offer this playful pets at a very low price and then surprise you with hefty shipping fees. Also, since these animals need to be shipped when you buy online, it is likely that you are going to receive them a little terrified and nervous after the week long flight or transfer. So, if for some reason you are left with no choice but to get them online, make sure that the website is a dependable site. Make sure the online store can show you a copy of their federal license to sell this pets and make sure to ask about the shipping fees before making the purchase ensure there are no added costs you have to pay when these cuddly animals arrive at your place.